Ana and I have had a blast trying out all of the scents and deciding where to stash each bottle. One or two are in the car, one in the gym bag, one in the outside pocket of Ana's lunch bag for school/camp, and a couple are in the house (kitchen and bathroom). Also, we cannot decide which is our favorite scent, but I am leaning towards the green tooty fruity and Ana likes the bubble gum (big surprise). I guess what really matters is that this hand sanitizer is safe for Ana,alcohol free and kills 99.99% of germs.What more can you ask for? And its origin and company story is pretty cool..I just read the entire story on the website, very very cool!! 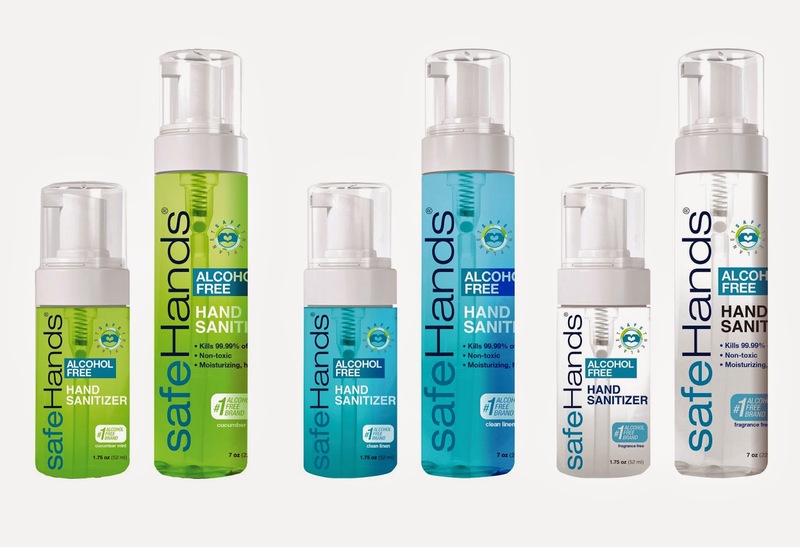 "After years of in-depth scientific research and clinical testing, Dr. Jay Reubens, the inventor of the first touch-free dispenser, created safeHands®—the world’s first doctor-invented alcohol-free line of hand sanitizers. 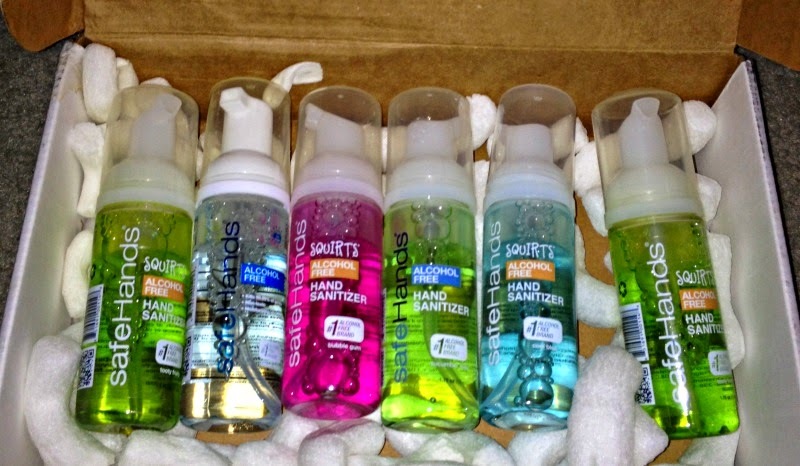 Both the safeHands® Squirts and safeHands® Classic Line, their respective adult and children line, were created in an effort to create a hand sanitizer that is non-toxic, soothing and works with the skin’s natural oils to increase in germ killing with each consecutive use.safeHands ditched the culprit behind traditional hand sanitizer’s undesirable side effects – alcohol – and replaced it entirely with Benzalkonium Chloride (BAC), the same ingredient in mouthwash and eye drops, to create a hand sanitizer that is tough on germs and safe for skin. 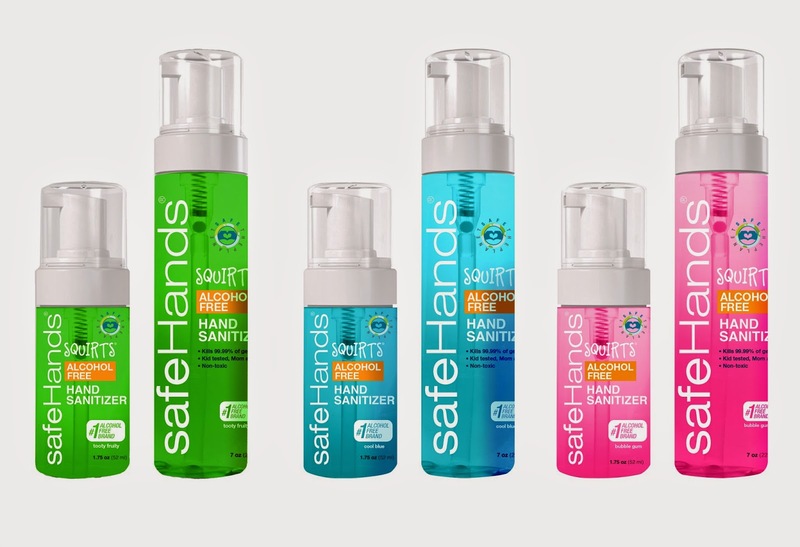 Aside from their website, safeHands recently debuted on Walgreens and Safeway shelves nationwide this year and can also be found at Navarro Pharmacies in Miami,FL." I love the size, shape and ease of use. 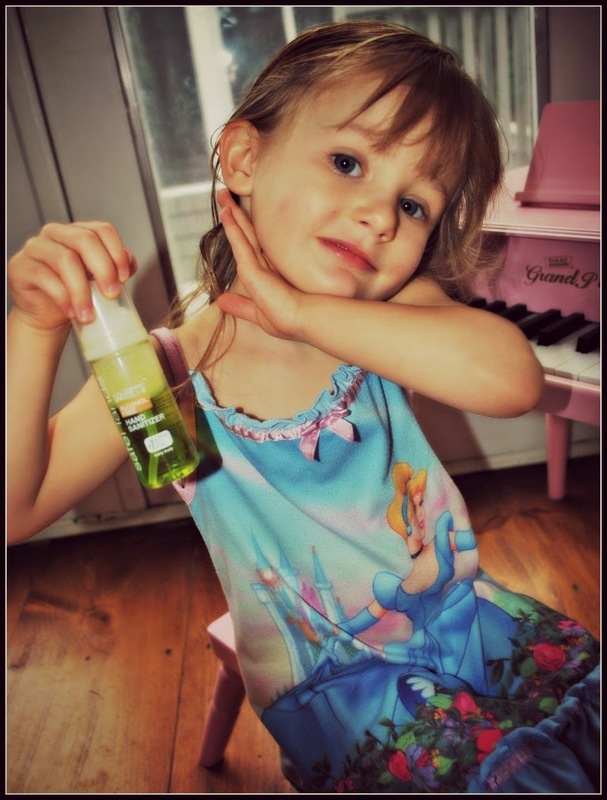 Ana loves the colors, scents and that it is "fun" to use! !